We're at that stage, the drooling, whinging, quick grab the Calpol stage. Yes, teething has hit the Burgess household once more. Luckily I have a few things under my belt in order to help the little one through this inevitable rough patch. When Henry was around 7 weeks old we got him something I had been eyeing up for a while, the Comfort Chew from Cheeky Chompers. 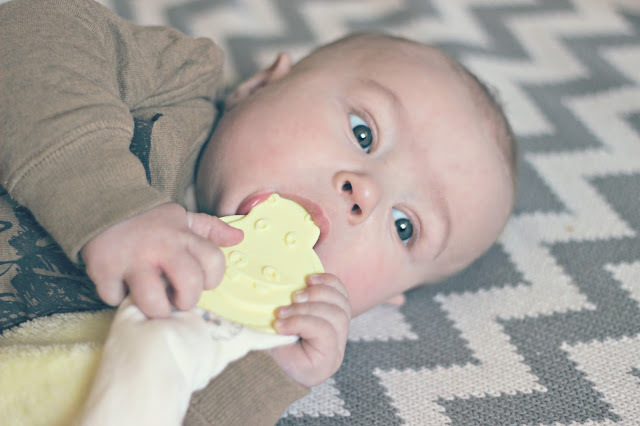 The Comfort Chew doubles up as a comfort blanket and a teether to help sooth little ones. I loved the idea and thought I would give it a go. 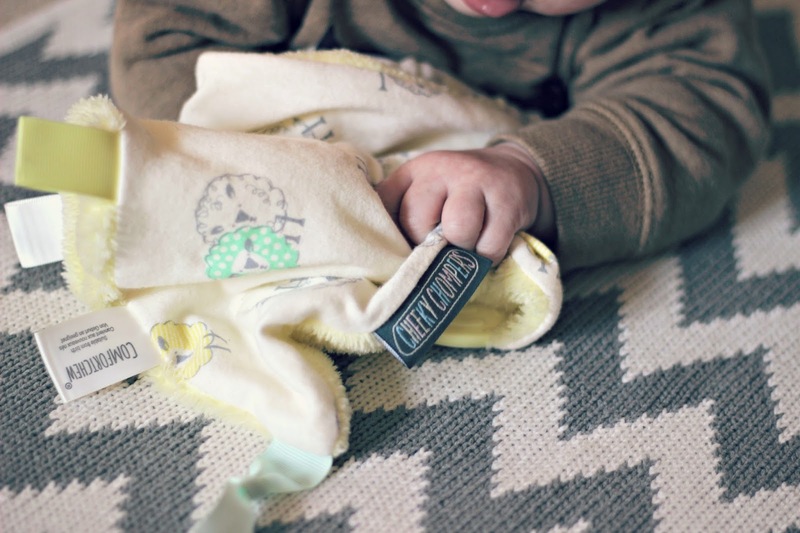 The Comfort Chew has four favourites of babies, comforter, teether, tags and its soft to touch. So it's a product that ticks a lot of boxes when it comes to the perfect baby item. Cheeky Chompers have also teamed up with one of my favourite brands, Joules, to create some wonderful prints. The floral prints are stunning, which I'm sure any little girl would adore. I opted for a more unisex print which is adorned with rather cute sheep, and in the colours of my Husbands beloved football team (green & yellow), Norwich. Henry has been fond of this comforter since we got it and he is now using it as a teether. 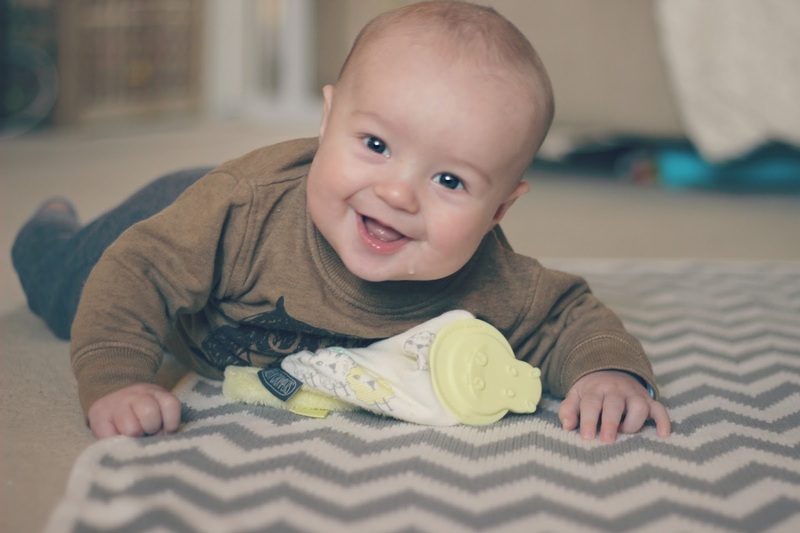 The "cheeky" hippo (teething part) is made of BPA and phthalates free materials, so is completely safe for babies. I'm thinking of getting him another one for when he goes to nursery *sobs* just so he has something familiar to take with him. Another feature is that it includes and elasticated loop which means it can be placed around their wrists or attached to a car seat or pushchair etc, so no more picking up the dropped comforter constantly!